The KonTiki name brings to mind adventures and travels. In 1947, archaeologist and ethnologist Thor Heyerdahl, together with five other scientists, sailed 8,000 km (5,000 miles) across the Pacific Ocean in a hand-built balsa wood raft - named after KonTiki, an Incan sun god - from South America to Polynesia. The expedition was designed to demonstrate that ancient people could have made long sea voyages, creating contacts between separate cultures. With Eterna watches on their wrists, the six explorers reached the Raroia atoll in Polynesia after 101 days and nights of journey. 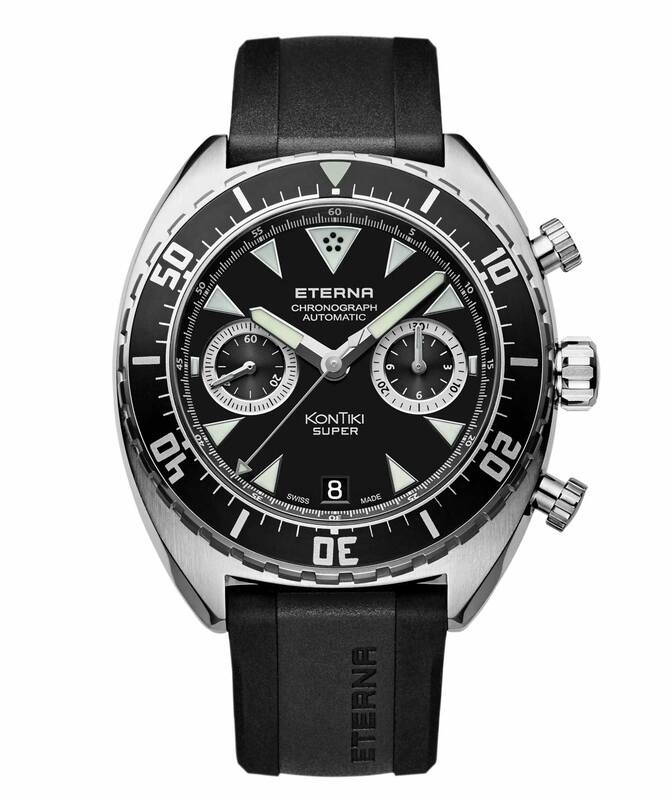 In 1958, Eterna introduced the KonTiki watch to commemorate this remarkable expedition. Since then, the KonTiki collection has been one of the pillars of its production. This year, on occasion of its 160th anniversary, Eterna presented the latest model in the line, the new Super KonTiki Chronograph with flyback function. Faithful to the collection’s design, the new chronograph features a robust 45 mm x 16.05 mm stainless steel case which is water resistant to 200 metres and frames a black dial with large triangular indices. The two subdials, the chronograph 30-minute and 12-hour counter at 3 o'clock and the continuous seconds at 9 o'clock, enhance the technical look of the watch. A rich Super-LumiNova treatment makes the new Super KonTiki Chronograph readable also in poor light conditions. The unidirectional rotating bezel offers a further method for tracking the passage of time while reinforcing the sporty nature of the timepiece. The Super KonTiki’s automatic flyback chronograph movement, the Calibre 3916A, is part of Eterna's in-house designed 39 family. 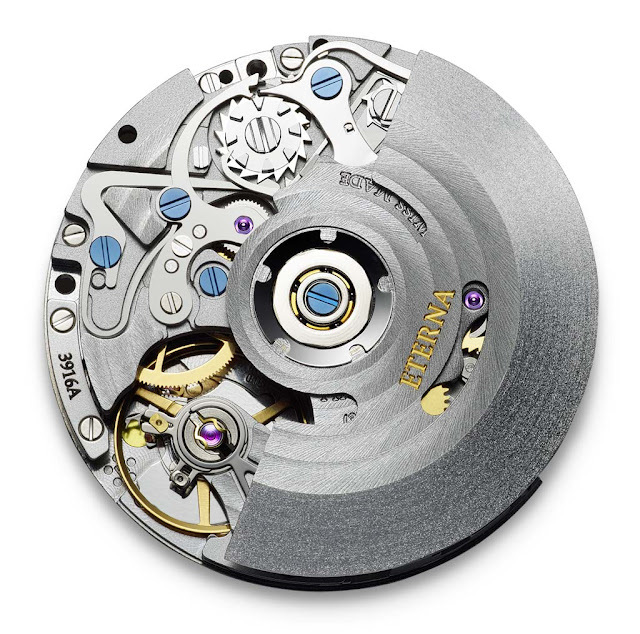 At least seventy per cent of the parts are manufactured at Eterna’s Grenchen headquarters. Beating at a frequency of 4 Hz (28,800 vph), the movement offers a power reserve of 60 hours. Surfaces of the components are finished with rhodium plating except for the oscillation weight which is microblasted. Eterna Super KonTiki Chronograph. 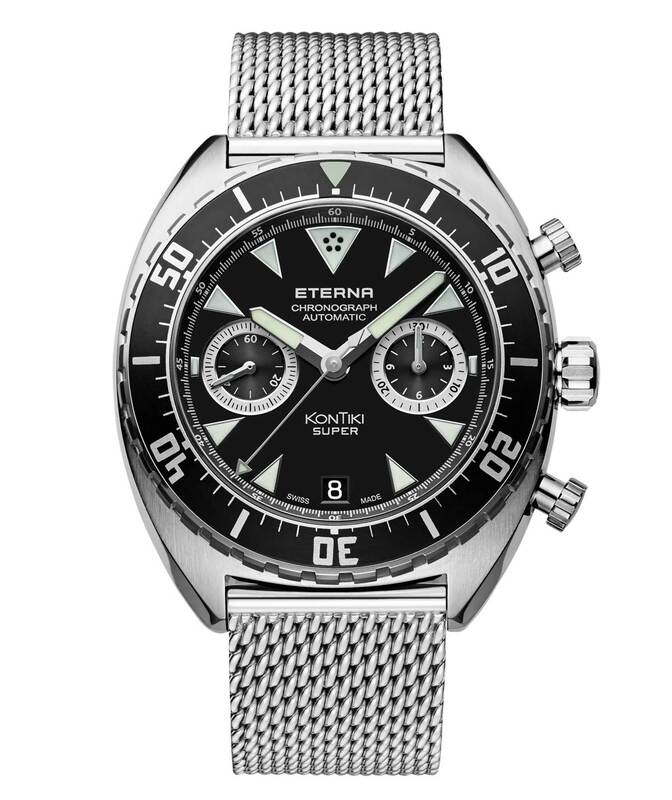 In 1958, Eterna introduced the KonTiki watch to commemorate this remarkable expedition. Since then, the KonTiki collection has been one of the pillars of Eterna's production. 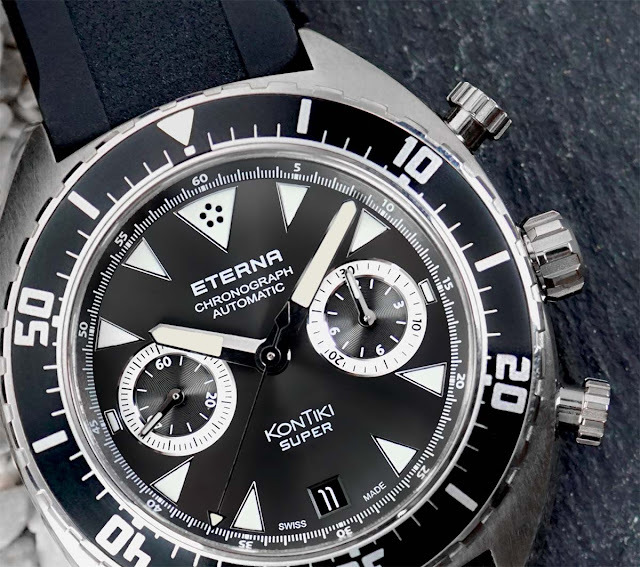 The latest model in the line is the new Super KonTiki Chronograph. 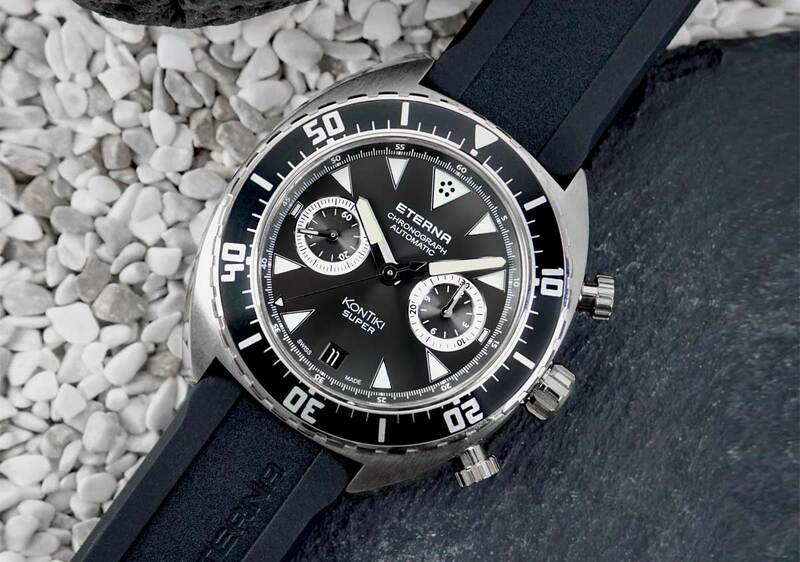 The Eterna Super KonTiki Flyback Chronograph can be matched to a black rubber strap (ref. 7770.41.49.1382) or a milanese bracelet (ref. 7770.41.49.1718) with prices of Euro 4,650 / US$ 4,700 and Euro 4,850 / US$ 4,900 respectively.